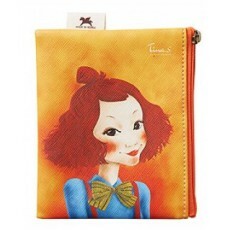 This adorable and original coin purse from Tascy is an all-around purse you can bring anywhere you go. The zippered closure make this coin purse great for holding cash or credit cards or even your cosmetics like lip balms, lip sticks or even sanitary napkins. It's a perfect size you can easily hide in your pocket or purse housing your small necessesities.